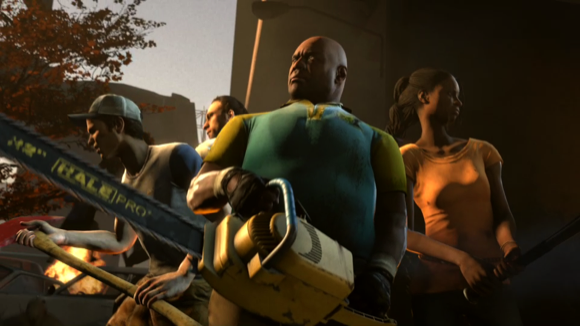 Valve has unveiled the details of Left 4 Dead 2's demo, and when you can get access to it. Are you ready? If you pre-ordered the game on either the Xbox 360 or PC you'll be able to play the demo starting on October 27. If you play on the PC, or have a Gold subscription to Xbox Live, you'll get the demo on November 3. Silver members of XBL will finally get the demo a week later on November 10. The demo contains a section of the Parish campaign, and even includes split screen co-op for Xbox 360 gamers. If you want to preorder the game on PC you can hit up Steam's 4 pack deal and get one copy of the game for free. If you're looking for the game on 360, we recommend Amazon.com with release date delivery! Page created in 0.2245 seconds.